When it comes to riding mowers a zero turn mower is the cream of the crop, so what’s the best zero turn mower for you? In this article we recommend several excellent models that we think are worth your money. We also look at a few lawn tractors to give you some other options to consider. What exactly is a zero turn mower? Basically, it akin to a typical riding lawn mower but it has a turning radius that is effectively zero. Beyond that a zero turn mower also drives faster and is more agile to maneuver. On the downside, they cost more than conventional riding mower with steerable front wheels. We’ll delve into all of the details so you can decide which model is right for you. People who need to cut large lawns, generally prefer a riding mower – these are lawn mowers where the operator sits on the machine and moves with it rather than pushing it by walking behind the mower. This allows you to work faster and accomplish more as you won’t be feeling the same fatigue as pushing a conventional lawn mower. A nicely designed mower with 6 different cutting heights, from 1.5″ – 4-inches. If you’re in the business of cutting large fields like sports fields, parks and the like, or you’re a homeowner with a particularly large lawn, a riding mower is a worthy investment. As these are, by no means cheap items, you’ll want to do your homework before deciding on what is going to be your best option. Firstly you need to decide on whether you’re better off with a Zero turn (Z-turn) mower or a tractor mower. They work differently and there is a difference in cost, with tractor mowers usually being quite a bit a cheaper. This article will cover both. We’ll help you understand each type better and we’ll be reviewing some of the best models available. After reading this article, I’m sure you’ll have a very good idea of how both zero turn mowers and tractor mowers work. This should also help you to make an informed decision before making your purchase. These mowers are preferred by people who have to cut lawns that require a lot of turning in tight spaces. A Zero turn mower has the cutting deck at the front of the machine and is able to cut very close to edges, which means there is often little or no trimming required. The term zero turn refers to the turning radius of the mower which is 0°. It, therefore, requires no extra space for the mower to turn. Giving a literal meaning to the term turning on a dime. A zero turn mower also moves much faster than other riding mowers. They are very popular for these two reasons – maneuverability and speed. Complete control in tight spaces is why a zero turn mower is worth the price. The main disadvantage of a zero turn mower is its price, these mowers tend to be more expensive than regular riding mowers. They also require more skill to use. This is partly because they move quite fast and the fact that they don’t use a steering wheel. We’ll look at how they work in the next section of this article. The manner in which they turn means that they can become unstable on slopes and the skid action that allows them to turn can rip up parts of the lawn if not done carefully. If you’ve never used a zero turn mower and are intending getting one for the first time, it would be a good idea to get some training from someone who is experienced at using one. They’re not too difficult to operate, but it would be safer to learn from someone who knows, rather than finding out the hard way. By placing the mower deck in front of the operator, instead of in the middle (underneath the operator), you have greater control over the machine. The first zero turn mower was invented in 1949 by Max Swisher. This machine had three wheels, two at the back and one at the front. The front wheel was used as the driving wheel and was able to turn a full 360°. Then, in 1963, John Regier came up with the idea of using counter rotational wheels to steer a zero turn mower. It is this principle that is used on modern zero turn mowers. It is the same method of propulsion that is used on many front-end loaders, forklifts, and battle tanks – allowing them to turn quickly in a small space. A zero turn mower usually uses a gas or diesel engine, though recent concerns over environmental issues have seen some use propane gas and there is also a move toward electrically powered motors. Unlike a conventional drive train that sees the wheels powered directly from the engine via a transmission, the zero turn mower uses hydraulic motors. The engine powers a hydraulic pump that drives independent hydraulic motors (one at each rear wheel). Using a hydraulic transmission, power is delivered to each wheel as required by the operator. The front wheels are smaller than the rear wheels and are castors, meaning that they can rotate freely in any direction, like those on a shopping cart. Some mowers have a fifth wheel located directly behind the operator for added stability. Most zero turn mowers use two levers to control the motion of the machine, though there are a few that use a regular steering wheel or a joystick which require less effort to use. Using the regular lever setup is very simple and logical. Each lever controls the flow of hydraulic fluid to the motor driving one of the rear wheels. Pushing both levers forward with equal force delivers the same amount of power to each of the rear wheels and will cause the mower to move forward. Pulling them backward with equal force will propel the machine in reverse. Pushing one lever forward more than the other will cause the mower to turn in the direction of the corresponding lever. To turn left, you push the left lever forward, whilst leaving the right lever in the same position. Keeping one wheel stationary while the other one turns, will cause the mower to turn on an axis around the stationary wheel. This will enable it to turn 180° at the exact width of the mower base. The result is perfect cutting lines like those you see on a football field. Pulling back on one lever while pushing forward on the opposite one, will cause one wheel to reverse and the other to move forward, resulting in a turning radius of zero. This makes it possible to make a rapid turn up to 360° with no turning circle. This method of turning is often referred to as skid action. Getting used to using this method of driving is quite easy and doesn’t take much practice. One must just take care when turning on a slope as the wheels can easily lose traction and, if you turn too rapidly on a slope, the mower may even flip over. Some manufacturers have overcome this problem to some degree. Either way, once you master the controls of a zero turn mower, they are easy and safe to use. Let’s move on now and see what your options are when looking for the best zero turn mower for your money. Capable of cutting up to 2.5 acres/hr. ✓ View or download the MANUAL for the Husqvarna Z248F. This zero-turn mower is designed to be rugged and dependable with a 10 gauge steel cutting deck. It’s powerful and also offers many features that make the machine really easy to operate. 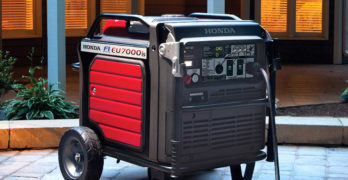 Power is supplied by a Briggs & Stratton engine. This is a two-cylinder 44.3 cubic inch (726 cc) air cooled beast of an engine, providing 23 hp. The Hydro-Gear EZT hydrostatic transmission ensures an even and smooth power delivery to the driving wheels. Traction and stability are excellent thanks to the strong 11” rear tires and front castors with a width of 6”. A 3.5-gallon gas tank will keep you working for a good length of time before refueling. A maximum forward speed of 6.5 MPH and large 48” cutting deck means that you will be able to cover 2.5 acres in just one hour. A comfortable driver’s seat coupled with well-designed soft-grip control levers that wrap around the entire front of the mower means that you can work for hours without getting tired. Adjusting the deck height is as easy as it gets. There’s a shifter placed at your right hand with spring assistance to make light work of setting your desired cutting height to any of the six settings that range from a minimum of 1.5” to a maximum of 4”. Directly in front of this lever, there’s even a cup holder and convenient storage bin. The mower’s durability is further enhanced by a cast iron blade housings (spindle) that feature sealed ball bearings for minimal wear. The three-piece blade is engaged using an electric clutch and moves at an impressive 18500 FPM. It has 3 anti-scalp wheels to protect your lawn surface from unsightly scrapes. It also has a deck cleaning port. The Husqvarna Z248F has an automatic parking brake. The moment you push the drive levers outward to get off the mower, the brake will engage. When you pull the levers inward to resume working, the brake will release. This ensures your safety at all times with the least amount of effort and there’s no chance of forgetting to engage the parking brake. If you want to catch and mulch your lawn cuttings, this can be done automatically and a large rear-mounted bag collects all the clippings. Alternatively, the mower will discharge the cuttings through a wide chute on the side. The Husqvarna Z248F is a very handsome looking machine and exemplifies both style and durability. This is combined with a high level of comfort and easy to use functionality. This is definitely one of the best zero turn mowers that you’ll find and is backed by a 3-year warranty. Has Caster Wheels and Welded Frame & 15″ Extra High Back Seat. Cut up to 2.4 acres per hour. ✓ View or download the MANUAL for the Poulan Pro P46ZX. Perhaps not as impressive as the Husqvarna Z248F, the Poulan Pro P46ZX is still a fantastic deal. It’s a fair deal cheaper than the Husqvarna but still offers the same working capabilities. While lacking some of the grace and sophistication of the more expensive mower that we’ve just reviewed, this one will still be very attractive to many because of its price. The Poulan Pro P46ZX uses a 724cc Briggs and Stratton engine that produces 22HP. Power is delivered to the rear wheels through a Hydro-Gear EZT hydrostatic transmission. 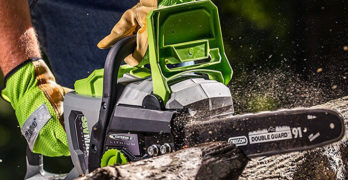 It has a cutting width of 46” utilizing a two-piece blade operated by an electric clutch. The deck has 6 manually adjusted height settings between 1.5” and 6” and is fitted with a cleaning port. It has a maximum forward speed of 6 MPH and can reverse at 3 MPH. Plenty of practical features supported by solid build quality. So far the specs are almost identical to the Husqvarna and it also has a very comfortable seat with a 15” high back. It also has a cup holder and the control levers are very similar in design, making it just as easy to use. The Poulan Pro P46ZX has a rated working capability of 2.4 acres per hour and has the same size gas tank (3.5 gallons). By now, you may be wondering why anyone would pay more for the Husqvarna when these two are so similar. Albeit that the Husqvarna brand does carry some weight. There are a few areas where the Poulan Pro P46ZX doesn’t match up as well to its more expensive rival. For starters, the front casters are not as big and this may slightly affect the machine’s stability. The Poulan Pro P46ZX is well-built and pretty robust with an aluminum spindle and metal deck, though I’d say the Husqvarna Z248F looks as though it will hold up better to long term heavy duty work. This mower will actually make cutting your lawn fun. The Poulan has a conventional lever parking brake, not as convenient as the Husqvarna’s automatic version. The height adjustment lever for the cutting deck is pretty good but isn’t quite as conveniently placed or as easy to use compared to the one fitted to the Husqvarna. The Poulan has a side discharge for cuttings but no mulcher and collection bag. For an affordable mid-sized zero turn mower, you can’t go far wrong with the Poulan Pro P46ZX. It’s well-built with all of the features that you’d expect from a machine of this caliber. The mower carries a consumer warranty of 2 years. Powered by a reliable Briggs & Stratton Twin engine. ✓ View or download the MANUAL for the Troy-Bilt Mustang 46 XP. Priced somewhere between the Husqvarna Z248F and the Poulan Pro 46ZX is the Troy-Bilt Mustang 46 XP. It’s in the same size class as the other two and has a few outstanding features that set this one apart. It doesn’t have some of the features that you’ll get on the Husqvarna, like the automatic park brake, but it has others that some may prefer. The Briggs & Stratton Intek twin engine powering this mower has caused a lot of excitement. This V-2 engine is the latest engine to come from Briggs & Stratton and is used in quite a few mowers and other machines requiring an engine of this size. The 24 HP unit used in the Troy-Bilt Mustang 46 XP is the largest in the Intek Twin series with an engine displacement of 724cc. 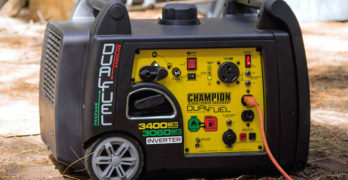 It is said to be very reliable and fuel efficient, receiving much acclaim from most users. The carburetor features an automatic for easy starting, something that is usually only found on cars and trucks. You are in total control in this wonderfully designed mower. The power is transferred through a twin hydro – dual EZT transmission. This mower has a top speed of 7MPH when going forward and 2.5 MPH in reverse. The gas tank holds 2.8 gallons. The deck is 46” and holds a twin blade cutter with 8 height settings. The deck engagement uses a system called PTO (Power Take-Off), this seems to be just another name for an electric clutch. A washer fitting is included in the deck. It has four anti-scalp wheels for perfect protection against deck scraping. The Troy-Bilt Mustang is built to be incredibly robust with a reinforced heavy duty frame. The body of this mower strong and ridgId. It has impressive wheels with the front castors being 13” X 5”- 6” and the rear wheels are 18” X 8.5” – 8”. All this gives the mower has good traction and stability. User comfort is a big part of the mower’s design with a comfortable 18” high-back seat and dual spring suspension giving you a very smooth ride. The adjustable soft-grip control handles are well placed and are designed for easy operation with little user fatigue. While the Troy-Bilt Mustang 46 XP doesn’t come standard with mulch kit and collection bag, these are available as an optional extra. It is fitted with a large discharge chute out the side for normal use. This is a beautifully built piece of machinery that is designed for maximum durability and comfort. It comes with a limited 3-year warranty and the frame has a limited lifetime warranty. Ergonomic lap bars designed to fit bodies of all shapes and sizes. Shipping Weight : 715 lbs. 15 position cutting height and 2-way adjustable lap bars for flexibility. The Troy-Bilt Mustang 60 XP is the largest zero turn mower built by the Canadian manufacturer. The basic design is the same as the Mustang 46 XP, it’s just larger and uses a 25HP Briggs & Stratton Twin Commercial Turf engine. In terms of build quality, speed, and comfort, it is exactly the same as the smaller model. So let’s look at where it differs. The Mustang 60 XP has a larger deck measuring 60” and has a 15 position cutting height adjustment from 1.5” to 3.75”. The deck is fitted with two anti-scalp wheels and a front roller. This model is also fitted with cruise control. “Power Take Off” technology for fast and easy blade engagement. For the rest, all the specs are the same as its smaller stablemate and the warranty is the same. There are many people who hold the Troy-Bilt name with high regard and I would say it ranks among the best zero turn mowers on the market. Choosing between the Troy-Bilt and Husqvarna options will be a close call as both brands are considered to among the best on the market. Beautifully designed with a wide 52″ cutting width. 2” x 3” tube chassis combined with large rear and front tires provide superior strength and improved ride quality. ✓ View or download the MANUAL for the Husqvarna 967277401 – MZ52. This is a large and powerful zero turn mower, offering outstanding features and ultimate comfort. The Husqvarna MZ 52 makes light work of even the largest property with a work rate of 3.5 acres per hour. Powered by a Kohler KT 7000, 44.24 cubic inch (725cc) 25 HP 2-cylinder engine, there’s power to spare with a forward speed of 8.5 MPH. Power is controlled through a Hydro-Gear ZT 3100 hydrostatic transmission, using a 10cc hydraulic pump. Industrial-grade mower built for comfort and reliability. The large 52” cutting deck is made to be extra strong, manufactured from 11-gauge steel and is operated via an electric clutch. The deck has a 12-position (1.5” – 4.5”) setting and deck lifting is made really easy with manual foot pedal assistance. The three piece cutting blade moves at an astounding 19000 FPM, using a cast aluminum spindle. Scalping is mitigated by three wheels and a front roller. Built to be robust and rigid, it has an over-sized chassis made from 2” X 3” tubing. The rigid chassis and extra-large wheels (front castors 13” X 6.5” – 6”) give excellent stability and the pneumatic tires improve ride comfort. Comfort is further enhanced by a sprung high-back seat with armrests on both sides. Really easy to use soft-grip control levers are a given and this machine is really a pleasure to use. Precise cutting height adjustment adjustable from the drivers seat. It has a 5-gallon gas tank, to keep the high-powered engine running for a good length of time. It has very good side-discharge for cuttings and a mulch and bag fitting. Cleaning the spindles and checking the belts is made simple with a removable foot pan for easy access. This is the perfect zero turn mower for cutting large fields and worth every dime of its rather large price tag. As a well-trusted brand, quality is assured – backed by a 3-year homeowner and 1-year commercial warranty. Learn more about Husqvarna zero turn mowers by visiting their site. 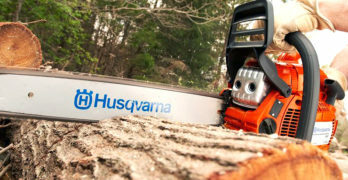 We love Husqvarna here at Chainsaw Journal. Your money is always well-spent when purchasing Husqvarna equipment and so, it’s very easy to recommend their zero turn mowers. Collect, Mulch, plus side discharge. Wonderful features for homeowners. Click image for availability. May be discontinued. Great mower for the price. Easy to use and operate. ✓ View or download the MANUAL or the PARTS LIST for Poulan Pro P54ZX. For a more affordable option that compares quite favorably to the Husqvarna MZ52 and Troy-Bilt Mustang 60 XP, the Poulan Pro P54ZX is well worth taking a look at. While there is a compromise to be made for the lower price, this large Poulan Pro model offers really good value for money. With a cutting width of 54”, it can stand proud among the other large zero turn mowers. It is powered by a Briggs & Stratton Professional Series 724cc, 24 HP engine. A hydro-Gear EZT hydrostatic EZT transmission ensures a power delivery that matches up with the best of them. This power plant gives you a maximum forward speed of 6 MPH forward and 2.5 MPH in reverse – perhaps not as fast as the other two large mowers in this review, but pretty close. This translates into a cutting rate of 2.8 acres per hour. With a 2.8-gallon fuel tank, you’ll cover a reasonably large area on a single tank. Controls and levers are the same as the other Poulan Pro that we looked at with manual controls for the deck settings (1.5” – 4.5”) and an electric clutch to engage the three-piece cutting blade. The wheels are quite well sized – 11” diameter for the front castors and 18” at the rear. It’s well-built with a strong frame with four anti-scalp wheels, unlike many other machines with a large cutting deck, this one doesn’t have a front roller. The Poulan has a well-designed side chute for ejecting cuttings but doesn’t have a mulcher or bag. The comfort on this machine may not match that of the Husqvarna but is still pretty good with a high-back 15” seat and cup holder. Like the others, it has soft-grip control levers that are positioned for ease of use. Check for availability. May be discontinued. Easy to navigate across large and confined spaces. Poulan is a brand that offers excellent value for money, providing features and build quality that closely matches the high-end brands. For anyone looking for a large zero turn mower at a good price, the Poulan Pro P54ZX is an unbeatable option and it comes with a 2-year limited, homeowner warranty. Learn more about Poulan Pro zero turn mowers by visiting their site. 42-inch, 22HP Briggs and Stratton — one of the best Zero Turn Mowers for the money. Briggs & Stratton Endurance Engine: 724cc / 22 hp. Hydro-Gear EZT Transmission : Speed up of 6.5 mph. ClearCut 42″ Fabricated (welded) Mower Deck. 2 blades. 10-gauge steel and twin steel sheets. Ergonomic Control Panel:Everything at your fingertips : choke, throttle, and ignition; as well as change the deck height and blade engagement. 15 inch sliding seat and vibration dampening levers to keep you comfortable. Removable foot pan for straightforward cleaning and fast access to service/maintenance areas. Convenient Digital Hour Meter: Keep track of a maintenance schedule with the digital hour meter. ✓ View or download the MANUAL and the PARTS LIST for the Husqvarna Z242F. This Husqvarna model is similar, in many ways, to the Z248F that we looked in the beginning of this review. The Husqvarna Z242F is slightly smaller, with a 42” cutting deck and is a little cheaper. It shares the same robust design as the other Husqvarna models as well as many of the same features. This zero turn mower uses the popular Briggs & Stratton V-twin engine – the same 724cc that is used in the Poulan Pro P54ZX. The power is transferred through a Hydro-Gear EZT hydrostatic transmission. This gives the mower a top speed of 6.5MPH and it’s capable of covering 2.2 acres per hour. Stability and traction are as good as the larger Z248F, it has the same wheels, 6” castors at the front and 11” wheels at the back. Unlike the larger Husqvarna models that use a three-piece blade, this one uses a two-piece with a speed of 18500 FPM. The spindle is made from cast aluminum. It has an electric clutch like all the others. Because of the smaller deck, it only has one anti-scalp wheel which acts almost like a roller at the front of the deck. Cutting height is adjustable from 1.5” to 4” by using a spring assisted manual lever. It also has the mulcher, bag and side discharge options as found on the other Husqvarna zero turn mowers. To look at this machine, you wouldn’t notice much difference between it and the Z248F and besides the smaller cutting deck, different engine and the absence of the automatic parking brake, there really isn’t any difference in the operating capabilities of the of the two machines. This, slightly smaller, Husqvarna zero turn mower comes at a price that compares well to cheaper brands, making it a great option for those who are fans of the brand but can’t quite afford any of the larger models. It has the same 3-year warranty as the others. Aptly named, these ride-on lawn mowers resemble small tractors. They have a cutting deck that is positioned below the driver which means that they can’t cut quite as close to the edge of plant beds as zero turn mowers. They also have a wider turning circle, using a conventional steering wheel, which makes them less suited to gardens and parks that require many turns in a tight space. It’s not very easy to get the perfect cutting lines for professional sports fields and a zero turn mower is the best option for this type of cutting. A lawn tractor has better traction than a zero turn mower and they perform better on lawns that run at a steeper slope. They usually have headlights, so intrepid gardeners who find themselves working into the night won’t have a problem. Tractor mowers are also cheaper than their zero turn counterparts because they don’t have the sophisticated hydraulics that pushes up the price. Maintenance is also easier and cheaper than those that use hydraulic motors. They make use of a centrifugal clutch, usually coupled to a Continuously Variable Transmission (CVT). This type of transmission makes use of a belt that drives the wheel shaft. As speed increases, the belt moves to change the ratio between the drive shaft and wheel shaft. There are no gear changes like on a large transmission found on a car and it provides a smooth and constant transition from pull away to full speed. So as a cheaper option or for people that have a garden with serious inclines to negotiate, a tractor mower is an attractive alternative to a zero turn mower. To let you compare them, we’ve included two excellent lawn tractors from Husqvarna. A cheaper alternative to zero turn mowers — not as agile. Easy to operate Husqvarna garden tractor. A more affordable mower for large lawns but lacks the overall maneuverability, features and comfort of a zero turn mower. ✓ View or download the MANUAL for the Husqvarna YTA18542. The design of Husqvarna YTA series is modern and very attractive. With this lawn tractor, you’re sure to be the envy of the neighborhood. Putting looks aside, this is a very robust machine and built to work. I’m sure you wouldn’t expect anything less from the brand. The Husqvarna YTA18542 has a 42” cutting deck, so it’s not the biggest you’ll find but excellent for most large gardens. The cutting deck is adjustable through six settings, controlled very conveniently by a fender mounted lever. 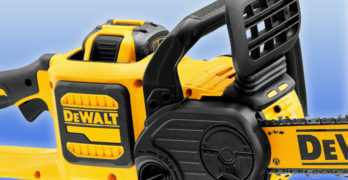 Its compact size makes it easy to maneuver and it doesn’t take up too much storage space. It is powered by a single cylinder Briggs & Stratton Intek 18.5 HP engine propelling the wheels through a CVT transmission. The cutting mechanism makes use of air induction technology. By drawing air from both the top and bottom of the deck, grass lift is improved which improves the cut. A very robust cast iron front axle makes the mower exceptionally stable, even when loaded with a collector. The seat is comfortable and can be adjusted. It’s not a high back seat, however. The ergonomically designed steering wheel is great and adds to the user’s comfort. It has full walk-through access, making mounting and dismounting no hassle from either side. As with any Husqvarna product, you can expect the only the highest level of design integrity and dependability. The Husqvarna YTA18542 comes with a 3-year consumer warranty. Air Induction mowing technology improves airflow within the deck. ✓ View or download the MANUAL for the Husqvarna YTA24V48. The larger Husqvarna YTA24V48 is just as handsome and compact as its smaller counterpart with some enhanced features and extra comfort. This model has a 48” cutting deck and is powered by a Briggs & Stratton Intek 2 cylinder, 24 HP engine, using a fast CVT transmission. Starting the engine is made easier because it uses an automatic choke. Can be equipped with a range of towable accessories and mulch kit. Four anti-scalp wheels prevent the larger reinforced cutting deck from plowing into your lawn and it has a nose roller. Engaging the blade is made super easy with an electric control switch on the dashboard. The build is as robust as the other Husqvarna model and it includes the cast iron front axle. Comfort is improved on the Husqvarna YTA24V48. This includes a high back seat with armrests and a deluxe steering wheel with extra padding. For the ultimate in performance and luxury, there can’t be a better option than the Husqvarna YTA24V48. The larger cutting deck and ease of use, make this model worth the extra cost and I can honestly recommend it as the top lawn tractor mower for anyone looking for a machine of this size and cutting ability.